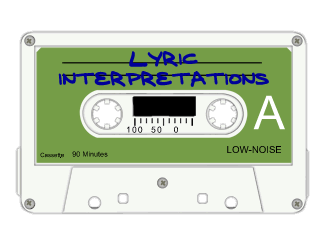 Here continued from part 1, we list some obsolete technology that tends to clutter up song lyrics and make them difficult for you happening young people to interpret. Once again, we're going to ignore songs that refer to physical music storage such as records, tape cassettes, and CDs, because those would go on forever. We're talking about songs that specifically name inventions that were current at the time, but gone and forgotten now. It's important to note that most songs start mentioning a technology just after its peak in popularity. First a new gadget is something that only the very rich can afford and is seen as a snobby accessory. Then it gets into the mainstream market and becomes something everybody must have. By the time it's getting to where every kid in the ghetto can afford one, that's the time when songs start mentioning it. Especially if it's a communication device of some kind - then it's guaranteed to get a song or two about it. Witness, for instance, our list of songs about phone calls. Telegraph - Dire Straits "Telegraph Road"
This is one of the most obvious examples of an obsolete technology showing up in a song's title. Telegraphs, before telephones, could do one thing: transmit a pulse. Or not transmit a pulse. Imagine communicating by flipping a light switch on or off. So they needed Morse code, which was a combination of short pulses and long pulses, written as dots and dashes. As primitive as Alley Oop. Mailing personal letters - The Marvelettes "Please Mr. Postman"
You probably still receive physical mail and maybe a card or two around Christmas, but electronic messages have just about wiped out the hand-written letter. Imagine, people used to buy pens and paper! And sit down and write pages to each other - in legible handwriting - and mail them to each other and they'd carry on conversations for months this way! At least until the postal carrier got eaten by a dinosaur. Newspaper personal ads - Rupert Holmes "Escape (The Pina Colada Song)"
Today, we have Craigslist "Missed Connections" and dozens of web dating sites. Before, people placed personal ads in the newspaper classified section. They had their own little code language (to save on space, since newspapers charged by the line), "SWF" meant "single white female" and "WWTITIA?" meant "When will they invent the Internet already?" Pinball - The Who "Pinball Wizard"
The Who's rock opera "Tommy" might be credited single-handedly with keeping the pinball fad from disappearing into the smoke of history. You can still find the odd pinball game machine lurking in places like bowling alleys and amusement parks (or even the odd laundromat) but back in the day, pinball was the biggest coin-operated amusement around. Launch a steel ball on the playing field, then try to score as many points as possible while keeping the ball in play using flippers, paddles, kickers, bumpers, and whatnot, while lights flashed and sounds played. Would you believe that the history of pinball dates all the way back to the 1700s and the reign of French king Louis XIV? Granted, they were plain wooden tables with strictly mechanical workings and coin-operation didn't come along until 1930, but still. You all just missed the age of pinball by that much. VCR - The Police "When the World Is Running Down, You Make the Best of What's Still Around"
Right in the first line, Sting hits you with a gadget whose days are definitely numbered now, even though you'll still encounter videotapes in odd places in our culture for some time to come. It stood for "video-cassette recorder". Jukebox - Joan Jett & The Blackhearts "I Love Rock 'n' Roll"
This is it, the canonical obsolete device in that most canonical of rock 'n' roll songs. "Put another dime in the jukebox, baby!" is something you've doubtless sung along to more times than you've ever encountered a jukebox in real life. These were coin-operated machines that stood in places like bars and pool halls, as decorative as a circus, all lit with neon tubes and spinning records. Drop a coin, push a button, and your selected song would come up - eventually, in the case of machines that had queuing. Already being phased out by the 1990s, right when the digital age kicked into high gear, but you'll still find them today in many bars and just about nowhere else. Can We Get A New Song For New Year's Please? Here's one you missed: in Sam Cooke's hit "Wonderful World," he says, "I don't know what a slide rule is for." Back in the early Sixties, when he recorded the song, that was supposed to show that he wasn't very smart or well educated. But today, NO kid knows what a slide rule is for, because nobody has used a slide rule since pocket calculators hit the market in the early Seventies. I don't know exactly what this will mean for the new rceord, but Michael Sweet posted on the Stryper facebook page: What would Stryper fans around the world think of a To Hell With The Devil 2 rceord written, rceorded and produced in the same fashion? This idea definitely has my interest peaked. And I really loved the new original song they added at the end of The Covering. Thin Lizzy also mentioned the jukebox in "Boys are back in Town"
Rush, Virtuality - "Put your message in a modem".